Welcome to the Market Street Church of Christ! 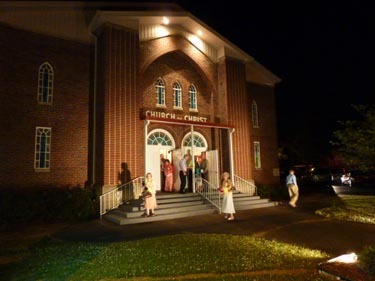 The Market Street church of Christ has been meeting in Athens since 1884. Our goal is to seek and save the lost. We point the way to Jesus, who is “the way, the truth, and the life” (John 14:6). Come join us at any time! Beginning on March 10, 2019, the Market Street church will begin meeting on Sunday evenings at 5:00 p.m. We invite you to worship and be a part of our services at any opportunity you may have. Our Eighth Annual Singing was a great success. We had 385 present and it was a thrilling evening to be able to assemble on Friday evening, February 22nd to lift our voices together in praise to God. This singing, like the last seven, was truly uplifting and edifying night for those who were present. Also, the song will be uploaded to the website soon. We hope that you will make plans to be at the Ninth Annual Singing on February 28, 2020. Beginning on November 4, 2018, the Market Street church will begin meeting on Sunday evenings at 4:00 p.m. Please note this is not intended to be a permanent change, as we will plan to begin meeting at 5:00 p.m. again when Daylight Savings Time begins next year. We invite you to worship and be a part of our services at any opportunity you may have. PlayWhat Do the Scriptures Say About Adding Instrumental Music?